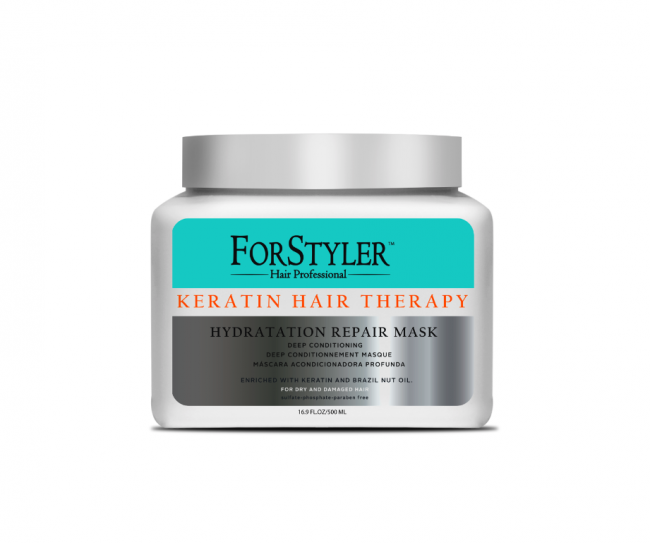 Hydration Repair Deep Conditioning mask is an intensive treatment for damaged and dry hair. Unique light formula with Brazil Nut Oil and pure Keratin that deeply absorbs, hourishes hair, and promotes texture, elasticity, shine and manegeabilty. 1. Deep condition repair for dry and damaged hair. 2. Promotes shine and eliminates frizz. 5. Promotes silkiness and smoothness. 6. breakage and split ends prevention.